Another fantastic hotel addition to our ever-developing programme, Nanu Beach Resort presents comfort beside the sands of Betalbatim Beach. Our programme is looking more diverse and flexible than ever, and last week we were delighted to announce the addition of a fantastic 5-grade hotel to our collection for Winter 2019-20, the stunning Azaya Beach Resort. 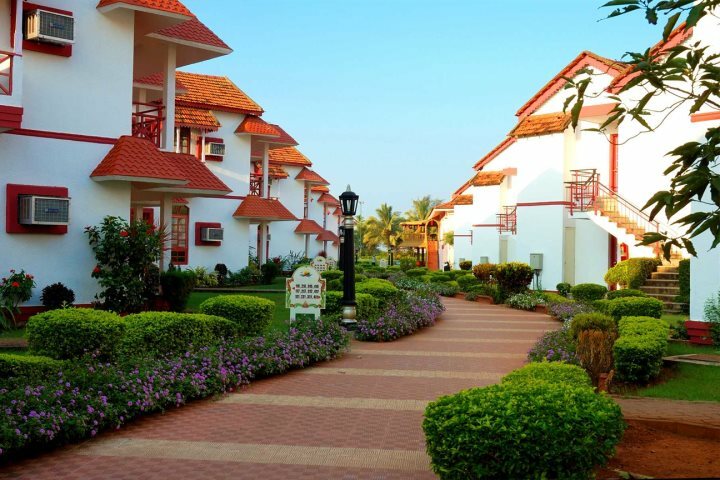 Next up is Nanu Beach Resort, a great addition to our Mid-Range Collection enjoying a wonderful location in South Goa beside the sands of Betalbatim Beach and presenting top value for money beside the breathtaking coastline. 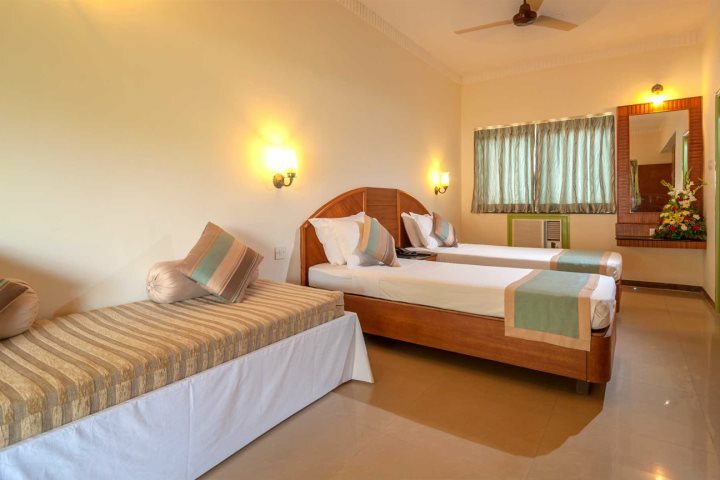 Whether you come for effortless relaxation and rejuvenation, or instead prefer to use the hotel as a base for exploring the best of Goa, Nanu Beach Resort will ensure a comfortable and indulgent stay regardless of what type of holiday you've come in search of. With its architecture consisting of white-washed villas engulfed by flourising gardens, the atmosphere at the resort is one of an exotic escape, so letting your hair down only comes naturally, especially in and around the inviting swimming pool, which is a real suntrap. In addition to the swimming pool, there's a range of good facilities to benefit from throughout the grounds of the hotel, including two restaurants and two bars, a health spa, a gift shop and a private section of beach for hotel guests. 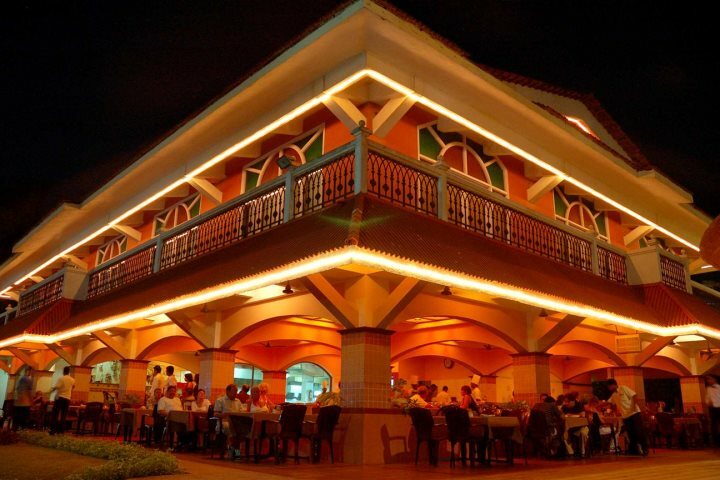 If food's on your mind, Miramar is a multi-cuisine restaurant serving up a range of delicious dishes to guests, while the poolside seafood restaurant benefits from all of the fruits of the Arabian Sea. For an extra touch of rejuvenation, consider enjoying a massage or treatment at the on-site Moksha health spa, a great facility where you'll also find a steam room and have the option of numerous traditional Ayurvedic treatments. Each guest room at Nanu, from the Deluxe rooms to the Premiere rooms and Villas, are decorated in a simple but classic fashion, all positioned within the verdant and mature grounds and enjoying vistas of either the gardens or the pool area. Guests will benefit from a number of modern comforts within their room, including a mini-bar, air-conditioning, LCD television and safe, while a patio or balcony will allow guests to soak up the sunshine from an inviting outdoor space. 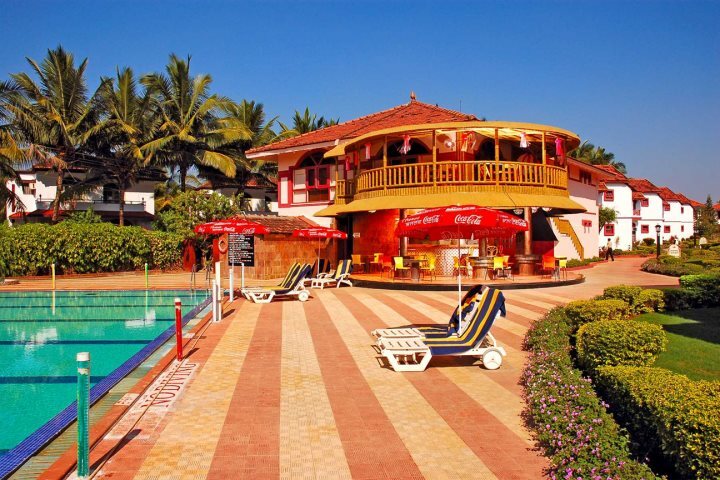 Find out more about Nanu Beach Resort here, or why not take a look at the rest of our accommodation across gorgeous Goa?